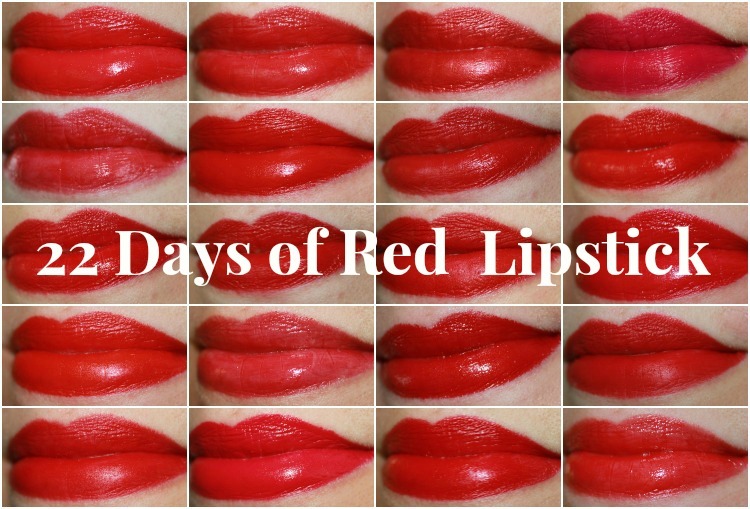 This is day 4 of my 22 Days of Red Lipstick series and I’ve got a seriously intense red for ya. 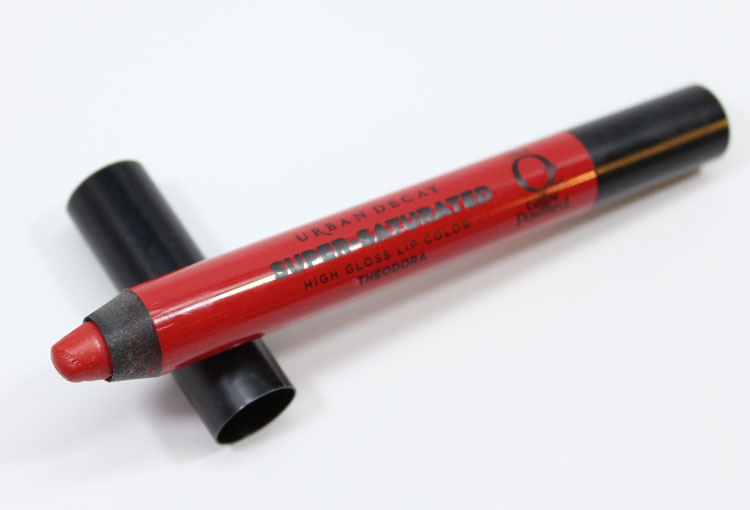 Urban Decay Super-Saturated High Gloss Lip Color Theodora is a lipstick that comes in a pencil that comes in a palette. Yep, it’s inside the Theodora Palette which they released as part of the Oz The Great and Powerful collection. 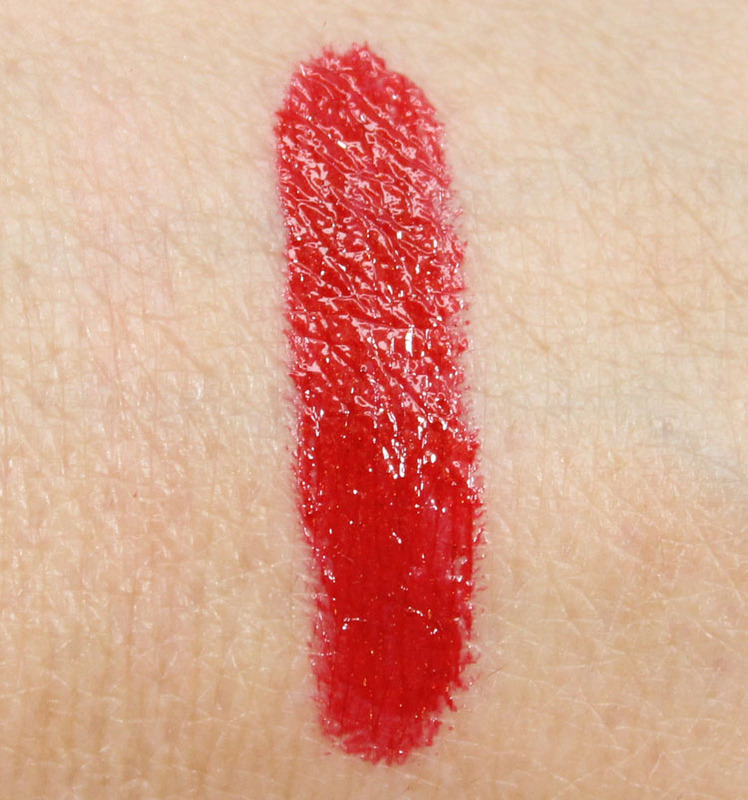 Theodora is a very intense, glossy and pigmented red with fine red sparkles running throughout. It’s SO vivid and rich, I love it. Sadly it isn’t sold by itself but maybe one day they will release it again. A girl can dream. Availability: Was limited edition inside the Theodora Palette only on Urban Decay’s site. Did you pick up this palette with Theodora or wish you had?